With a vibrant, high-definition screen, this laptop provides beautiful, crisp pictures and video. The computer comes with a powerful 1TB hard drive and a 128GB solid state drive to house a ton of files. The webcam and microphone make it easy for you to video chat with friends and family. 15.6" high-definition screen with IPS technology, WLED backlighting and an anti-glare design deliver vivid visuals at 1920 x 1080 resolution. Powered by 7th Gen Intel Core i7-7700HQ processor. Run multiple programs simultaneously. 8GB of memory is available to run your programs. 1TB (1000GB) hard drive can store a large amount of files. 128GB solid state drive offers additional space to store songs, games and more. Solid state drives are generally lighter, quieter, more cost-efficient and may consume less energy than the traditional hard drive. Wireless-AC connectivity lets you surf the Web without the need for cords or cables. Gigabit Ethernet connection offers fast wired connectivity. Multi-format digital media card reader provides easy data transfer. Features 2 USB 3.1 Gen 1 ports to share files at high speeds. USB 3.0 is up to 10 times faster than USB 2.0, yet fully compatible with USB 2.0. USB 2.0 port for dependable data sharing. Front-facing Wide Vision HD webcam with integrated, dual-array digital microphones to help you communicate over the Internet. Bang & Olufsen with dual speakers to offer quality audio. Bluetooth® technology lets you connect Bluetooth-enabled devices. Full-size, island-style, backlit keyboard with a numeric keyboard and an Imagepad with multi-touch gesture support to help you type, draw and more. 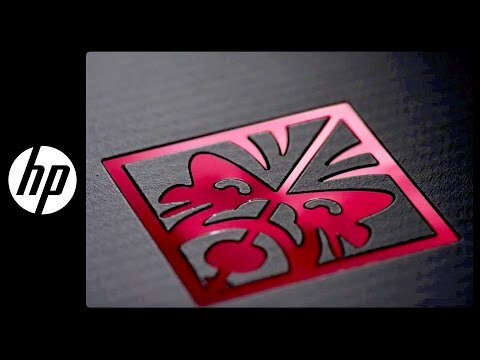 HP ePrint lets you print wirelessly. Gives you up to 10 hours and 30 minutes of battery life. Battery life will vary depending on the product configuration, product model, applications loaded on the product, power management setting of the product, and the product features used by the customer. As with all batteries, the maximum capacity of this battery will decrease with time and usage. Work harder, train longer, and rise up to the relentless competition. Equipped with powerful hardware and a venomous design, OMEN laptops are ready for the challenge, anytime, anywhere. Go on, stake your claim. 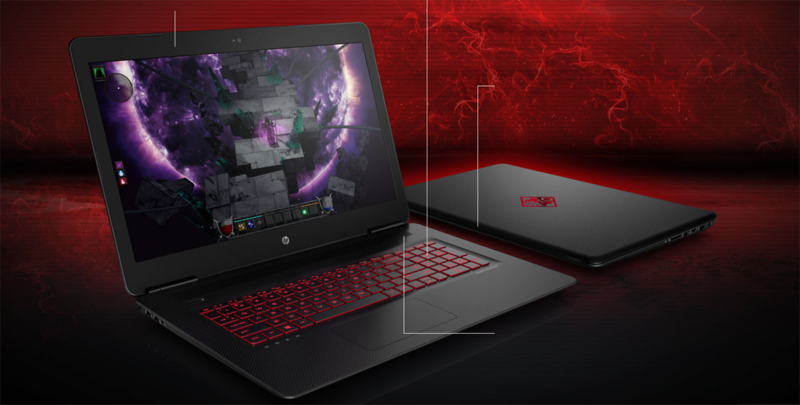 Includes a quad-core Intel® Core™ processor and up to NVIDIA® GeForce® GTX 1070 graphics. You’ll be prepared for the next generation of gaming with the high-powered hardware that the latest AAA games demand. Features NVIDIA® G-sync technology on select models and an optional 4K IPS display1. Get smooth, fast, incredibly detailed gameplay, with no screen tearing and minimized input lag. 1. 4K content required to view full 4K images. NVIDIA, GeForce, and the NVIDIA logo are trademarks and/or registered trademarks of NVIDIA Corporation in the U.S. and other countries. 2. HD (High Definition) content required to view HD images.